After more than a dozen years in the PR agency world, Sue Zoldak founded The Zoldak Agency to bring together her skill as a campaign manager and the power of her wide network in the public affairs, digital and advertising space. 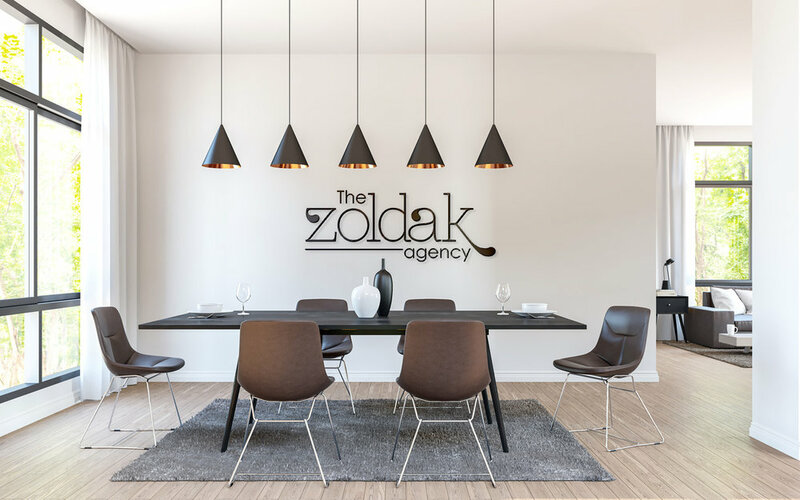 The Zoldak Agency manages campaigns for think tanks, organizations, trade associations, corporate public affairs, grassroots coalitions, and more to further their policy goals. We do one thing and we do one thing well: we help our clients influence public policy. We always manage to win. "The Zoldak Agency got our association up and running with a grassroots campaign in just under 24 hours! Not an ideal situation to be in, but working with Sue made it exciting and enjoyable. Sue is knowledgeable, insightful and flexible. In addition to the swift launch, we learned a lot from Sue that we'll build on going forward—and got some great "bonus" ideas from her, as well. Highly recommended!" "I’ve worked with Sue in every phase of communications campaigns…from planning to implementation to fine-tuning to wrap-up and analysis. Her interactions with and advice to clients are always highly valued and on-target. She helps her clients get the biggest bang for their resources through sophisticated timing, messaging and media/audience targeting. Most importantly, Sue likes to ‘win’…and conveys that attitude and spirit to her client’s team. I’d want Sue on my team anytime I’ve got a tough communications campaign challenge…because I, too, want to win!" "If you go to list the many great qualities Sue Zoldak brings to a job, you might find yourself with a very long list of items. Her creativity and energy for projects is infectious. She starts every project with a genuine sense of curiosity in wanting to know your goals, objectives, challenges and how far (or willingness) to push the boundaries in trying to do something inherently creative that you've never done before to reach your expressed goals. She offers what I would call a "positive push" to help a client see new ways and means to get the results her client wants to achieve. She treats her clients as "an investment" and as such she is looking for a longer, stronger and bigger return with them. That was refreshing on many levels and if people are smart enough to pick her to work with them, you're going to reap those positive dividends. "Sue gets the client to focus on the project objective and then consults with them on specifics so that the final product is effective. She is creative. Her many years of experience enable her to use that creativity to achieve results. She is a hands on person who always gets the job done when the client wants it and with the highest integrity." "When it comes to strategic communications, there is no one better than Sue. What makes Sue the best is her ability to not only understand the problem, but to provide a clear, succinct and forward thinking solution. Few people come close to matching Sue’s knowledge of the industry and tools available when it comes to addressing a communications challenge." "Sue Zoldak is a digital marketing whiz with deep knowledge of how organizations can expand their digital audience size and engagement levels. Sue was instrumental in devising and executing a strategy that helped us exceed our goals for unique visitors and new Facebook fans. She is exceptionally talented in recognizing the latest and most effective digital marketing strategies. If your goal is to enlarge your organization's digital footprint, Sue is your woman! "Sue is a tour de force who brings a uniquely creative and practical approach to problem solving. She is both detail oriented and a big picture thinker who can identify not only what's needed, but how to get there. Her secret sauce is her ability to read and connect with different types of people, which has helped her build relationships with colleagues and clients alike. "Sue is the Swiss Army Knife of the advocacy scene. Her knowledge, expertise and experience of the many different tactics it takes to penetrate a message, be it, advertising, use of social networks or good old fashioned PR can't be matched. She not only does it all, but does it as well as anyone. Her analytical insights and creative forward-thinking make her the whole package."